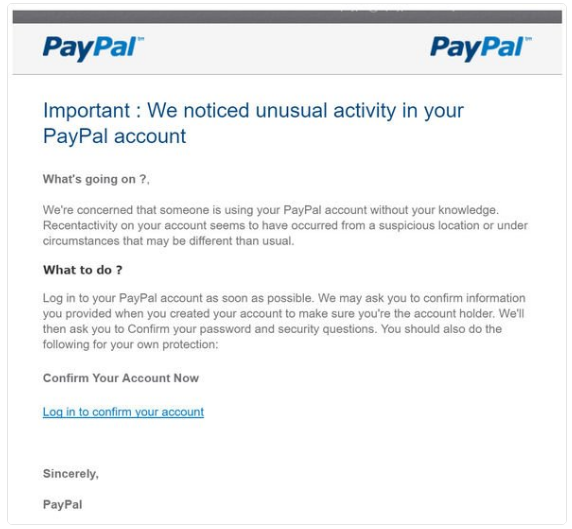 A few days ago, our colleague Jessica received an email from PayPal. It notified her that her password had been changed from an unknown device. In order to resolve the problem, she had to follow the link and enter her credentials. However, when she clicked on the link, she noticed something strange. Her internet connection was a bit slow, and she discovered that there was an intermediate website that popped up. At that moment, she realized something: she had just come very, very close to being a phishing victim. If that website had loaded faster, she would have entered her credentials in the lookalike phishing site and thereby would have had her Paypal account compromised. Apparently, this has been happening a lot lately. As you may already know, PayPal is one of the most widely used methods of sending payments online, usually for the purpose of purchasing goods and services online. Since PayPal is connected to your bank account or card, it is a potential gold mine for hackers and other opportunistic entities. If they are able to trick you into giving them your sensitive information, they’ll be able to control your account and steal your money. For this reason, there have been numerous PayPal phishing scams throughout the company’s history, such as this one, this one, this one, or this one. This is just another in that long line of phishing scams. At the same time, there are similar scams. Another version is here, as reported by Twitter user ActionFraudUK. This is an easy one, as any serious company would not send out emails with bad grammar and simple spelling mistakes. In the second email, this one is easy to spot (comma after a question mark, no space between two words, and a random capitalized word in the middle of the sentence). 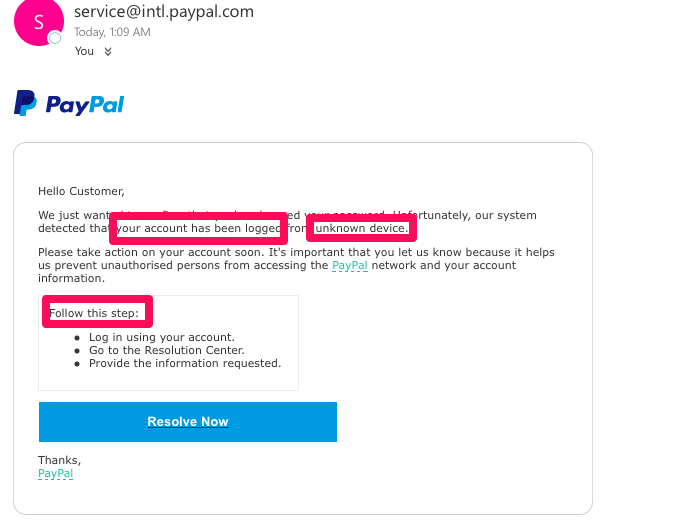 However, it is important to note that because people are usually alarmed by the possibility that their PayPal account has been compromised, they may not focus on spelling and grammar. PayPal will always use the customer’s full name in the email. If you receive a generic address (“Dear User,” “Hello customer”) or nothing at all, it’s a dead giveaway that this is a fake email. As you can see in the two examples above, no full name has been used. If you are still unsure of whether the email is real or not (for example, somehow the phisher had good grades in grammar and used your full name), don’t click on the link that will say “Log in,” “Resolve Now,” or some other variation. You can usually check quickly by putting your mouse over the button, but not clicking on it. The URL will show up at the bottom of the screen. If it says http://www.paypal.com , don’t click on it. 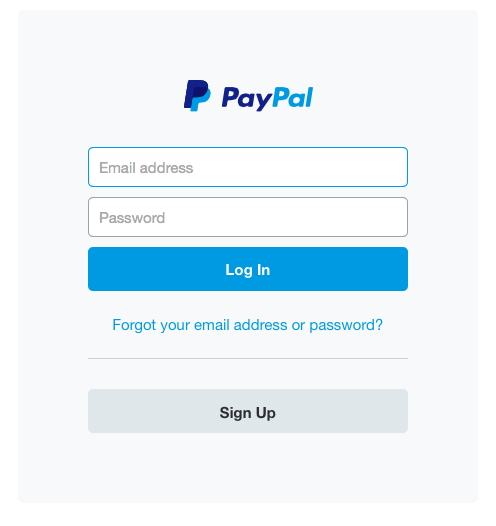 PayPal uses https, and you are about to become a phishing victim. If you are still unsure, open a new tab and go to the PayPal website by yourself. Log into your account and if there’s no notification, then you know that the email was another phishing attempt. 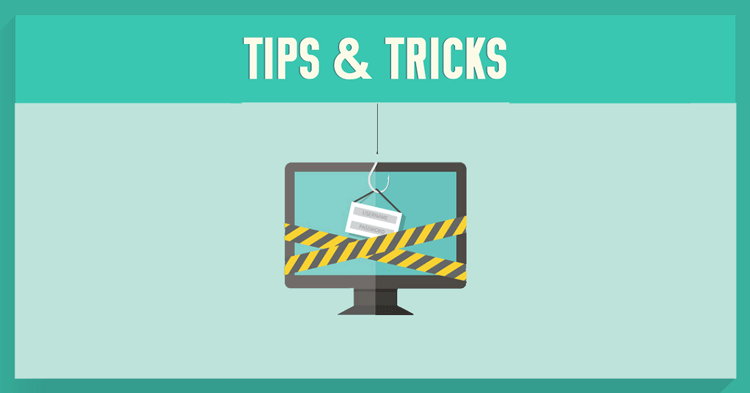 After you’ve determined, either through 1, 2, or 3, that the email is fake, you can either delete it from your email account or pass it on to PayPal. 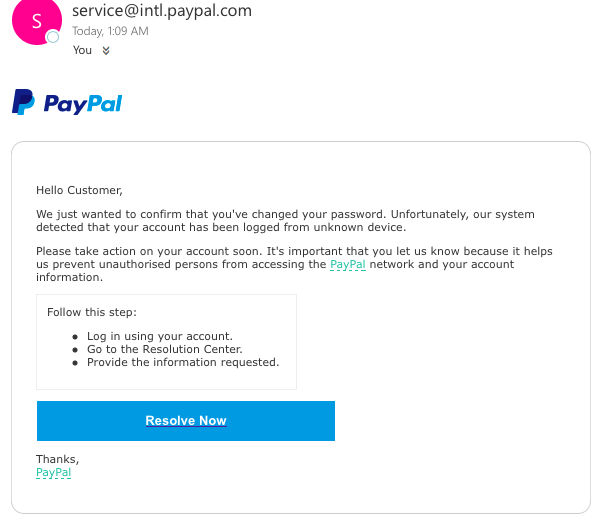 Just forward the email to phishing@paypal.com. They will now be able to warn users and enact other measures to shut down that particular phishing scam. Not only will you have avoided being a phishing victim, but now you’ll be able to assist others in not falling victim to the same ploy. Here at NordVPN, as you know, we are serious about user privacy and protection online, which is why we have created our unparalleled VPN service. However, the last best line of defense is you, and the more you educate yourself on how to keep yourself safe online, the less risk you’ll have. So, as always, remain vigilant. Have you come across any phishing scams lately? Let us know in the comments below.